ISLAMABAD — Just days before U.S. Defense Secretary Jim Mattis is scheduled to visit Pakistan for crucial talks, the top American general in Afghanistan has alleged the Pakistani spy agency continues to maintain ties with the Haqqani terrorist network and allows Taliban leaders to operate out of havens in the country. Pakistani officials have promptly rejected as “nothing new” the charges made by General John Nicholson, who commands U.S. troops and NATO’s Resolute Support Afghan mission. Speaking via video phone Tuesday from his Kabul base, the general told Pentagon reporters while “tactical-level” leadership of the Taliban is in the field in Afghanistan, “senior leadership” of the insurgency still resides in Pakistan. It is believed the leadership is in Quetta and Peshawar. “They [Pakistanis] identified certain steps that they were going to take. We have not yet seen those steps play out … we have not seen those changes implemented yet,” Nicholson said. He was referring to talks U.S. officials have held with Pakistani counterparts since President Donald Trump announced his strategy for Afghanistan and South Asia. Trump denounced Pakistan for what he said was its support of terrorist groups and urged the country to enhance cooperation with U.S. efforts to stabilize Afghanistan. A senior Pakistani military official, when contacted by VOA for his reaction, said Pakistan “has been rejecting such allegations and some have been leveled again.” The official requested anonymity, saying an official government response is being formulated. A spokesman for the provincial government in Quetta, capital of southwestern Baluchistan province, while responding to the U.S. general’s allegations asserted they are based on “conjectures” and are not helpful in achieving regional peace. “Any actionable intelligence if shared with authorities on Pakistan side, our security forces will promptly act, as it is primarily in our interest to fight menace of terrorism,” Anwar-ul Haq Kakar told VOA. Nicholson replied Tuesday, when asked whether Pakistan’s Inter-Services Intelligence (ISI) has ended its support for the Haqqani network. “The chairman of the joint chiefs and the secretary of defense were asked these questions on the Hill recently. I think they affirmed that those relationships still exist. So, I would leave at that and I concur with their assessment,” the general said. The assertions, analysts say, show Washington is not “satisfied” with Islamabad’s claims of dismantling terrorist infrastructure linked to Afghan war on Pakistani soil, and Haqqani network’s activities are expected to dominate discussions Mattis will hold with Pakistani leaders. U.S. officials have not yet announced dates for his visit, but Foreign Minister Khawaja Asif said last week Mattis will be in Islamabad on December 3. 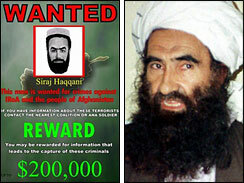 The United States designated the Pakistan-based Haqqani network as a terrorist organization in 2012 after the then-top U.S. military officer, Navy Admiral Mike Mullen, told Congress the network was a “veritable arm” of the ISI directorate. Pakistan military and civilian officials maintain the country has no links to insurgent groups in Afghanistan, saying “neither Haqqanis nor Taliban need sanctuaries” on Pakistani soil when more than 40 percent of Afghan territory has been “rendered ungoverned” after militant advances in recent years. Nicholson noted on Tuesday the Afghan government controls about 64 percent of the population, the Taliban controls about 12 percent of the population and the other 24 percent live in contested areas.